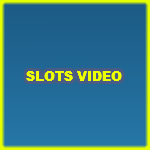 Rainbow Jackpots by Red Tiger Gaming is a magical slot that takes place in the Irish lands, so you can expect to find plenty of winning chances and bonuses that you can claim during the gameplay. For starters, there is the wild icon. The wild symbol comes in the shape of the golden four-leaf clover symbol. The wild symbol will replace any of the other symbols appearing anywhere across the reels of the game. There is also the Beer symbol, getting three of these beer symbols, you will trigger the Beer Bonus in which you will click on these beers to reveal the prizes that they are hiding. There is also the free spins round, you can trigger it whenever you manage to get 3x of the Golden pot of coins. Lastly, there is the Symbol Swap. Any of these features can get an upgrade to become the Mega bonus with the help of the Leprechaun a random. The slot machine has one character, which is the Leprechaun who is going to join you throughout the gameplay to help you claim great awards. The symbols include the golden pot of gold, the golden four-clover leaf, the beer icons, the golden horseshoe, the leprechaun’s hat and the colorful low paying poker symbols. 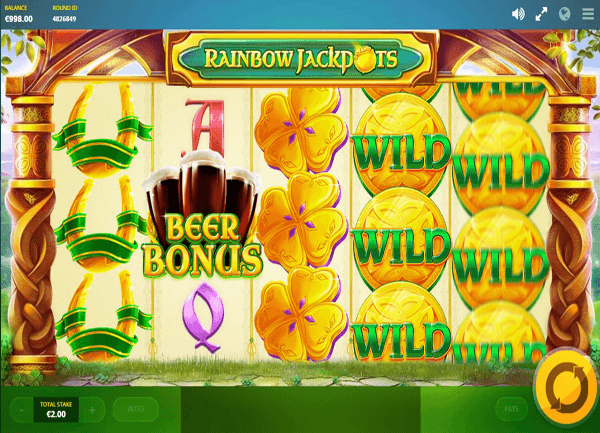 Rainbow Jackpots is a new slot machine by Red tiger Gaming that has a wonderful theme that takes you to an amazing adventure that takes place in the Irish lands. You will search for all of the lucky charms that the Irish are known for. You will not go on this adventure alone, as a Leprechaun will join you, and will guide you through the land so you can find the Irish fortune and claim your share. 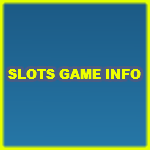 The slot machine has five reels with twenty wager lines and three rows of symbols. The visual quality of the game results in an immersive experience. Therefore, you will see that the reels have two Irish columns on the two sides, and that they take place in the vast Irish green landscape. 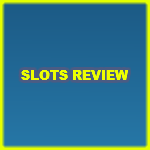 The slot machine also offer you a great set of bonuses, features and winning chances to guarantee you a lucrative stay. 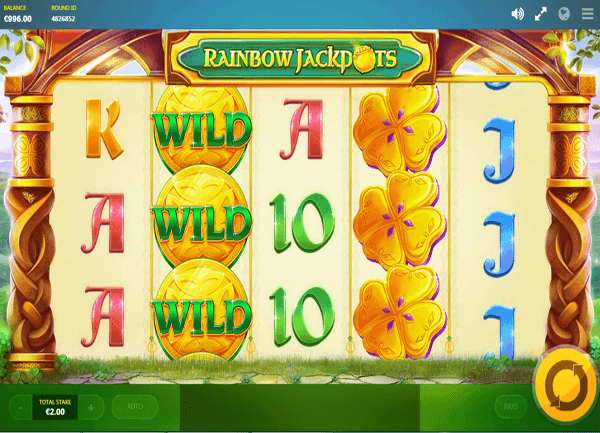 Rainbow Jackpots by Red Tiger Gaming is a five reel game with twenty win lines, an Irish theme and plenty of winning chances and bonus features. So get ready to join the Leprechaun to claim your share of the Irish fortunes.